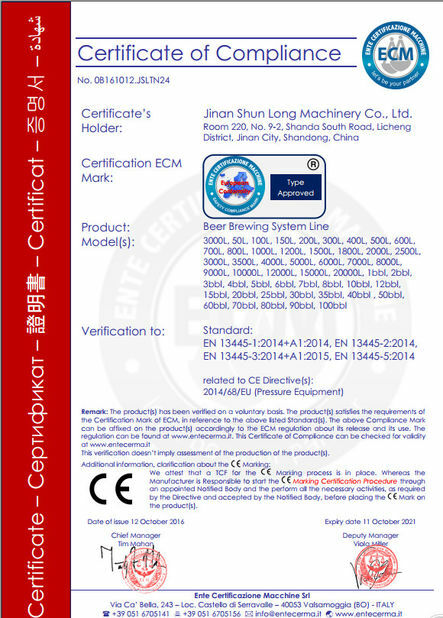 Jinan Shun Long Machinery Co.,Ltd is a professional brewery equipment manufacturer. 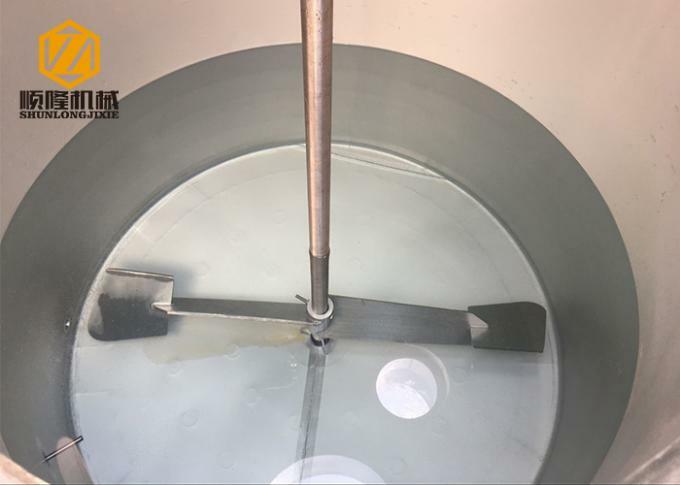 We are specialized in professional design, manufacture, installation and commissioning of various beer equipments and support facilities. 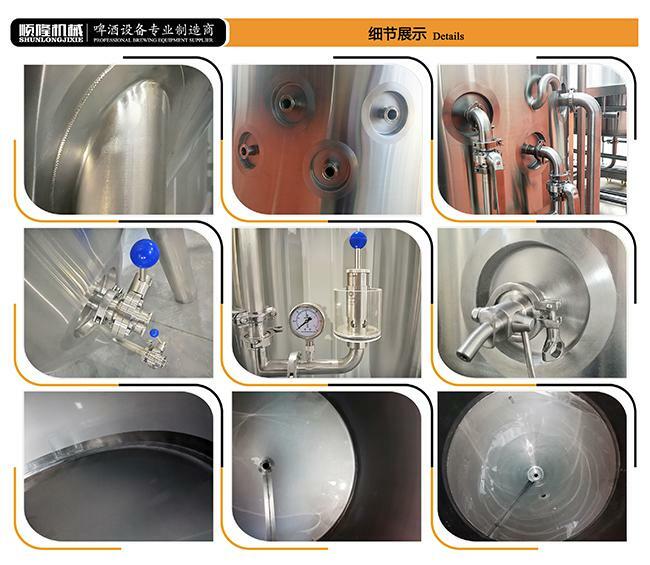 Which includes saccerification equipment, fermentation equipments, yeast spread cultivation equipment, refrigeration unit for small, medium and large-sized brewery, hotel, bar and etc. 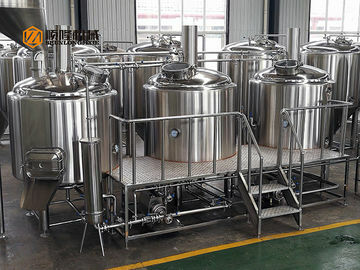 The company adopts strictly the production process of German beer equipment. Our designed and manufactured products meet both domestic and foreign customers’ demands. 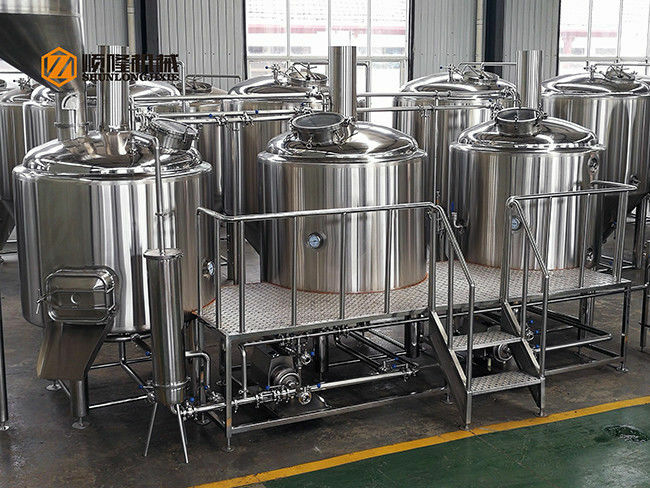 Our equipment with fine workmanship, excellent performance, convenient operation, and it will be your best choice for brewing beer. 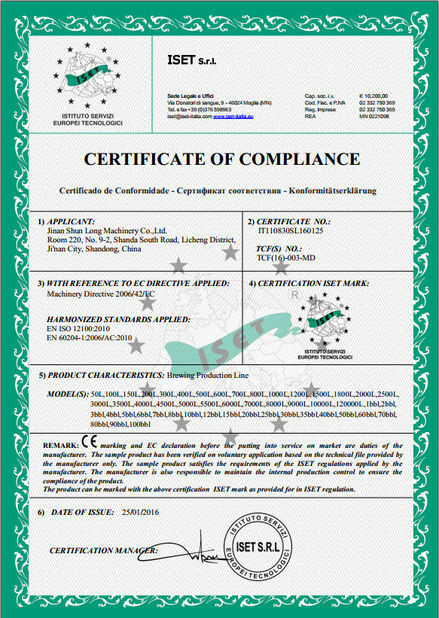 Whatever the appearance or the quanlity or the quality have reached the advanced level of similar products at home and abroad. 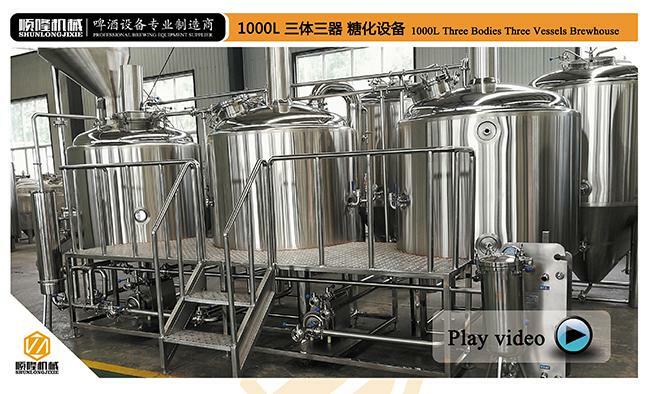 Besides these, we also could design and manufacture various beer equipment according to customers’ requirements.